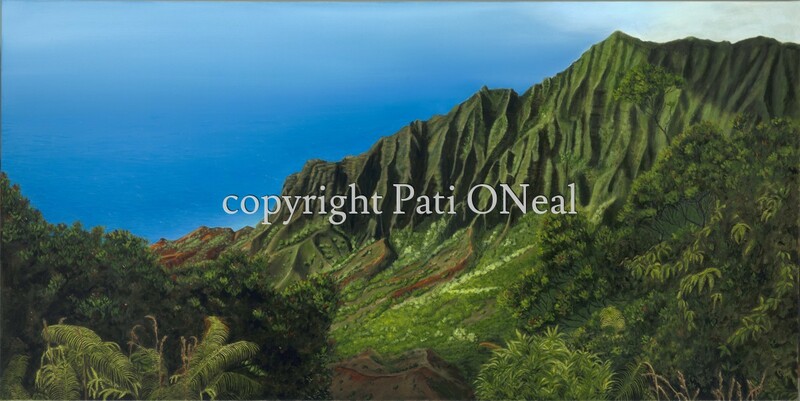 Kalalau Valley on the North Shore of Kauai on a bright clear afternoon. Original oil on canvas, sold and in a private collection. Limited edition giclées and open edition matted mini-prints available.